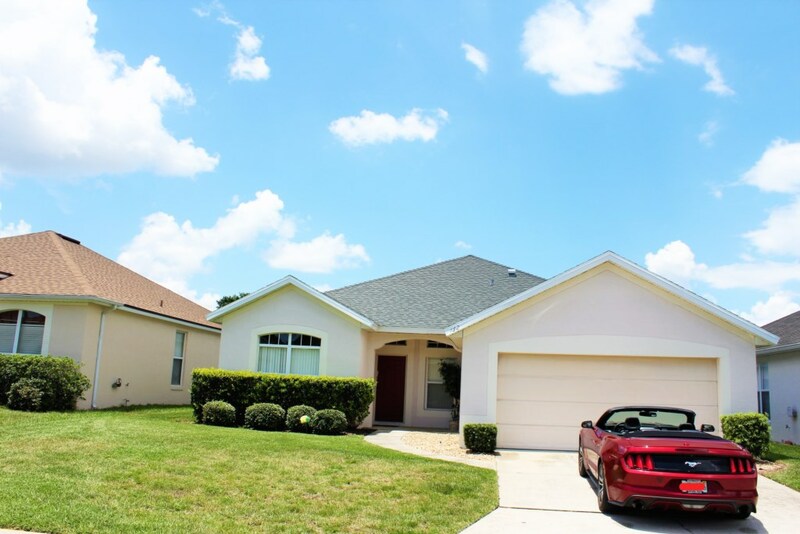 This wonderful pool house with golf view, near Disney World and other attractions, close from Clearwater / St Petersburg beach, Bush Gardens and Kennedy Space Center is perfect to enjoy your vacations with family and friends in the Sunshine State. This beautiful, spacious 4 bedroom / 2 bath pool villa with golf view is located in the quiet and secure community of Fairway Lake (Esprit). It is a home-away-from-home that offers a fully equipped kitchen, a dining area and a large living area with big flat screen TV. The house is also equipped with free wifi and free national calls. Children will love Frozen & Minions themed twin bedroom (and for those who prefer Tink and Sponge Bob, these comforters are still available in the closet). The pool deck is extended, so you can always choose between a spot in the sun or shadow, and enjoy the golf course view. On some early mornings, you can even enjoy the beautiful sight of colorful hot air balloons taking off in the sky from the field nearby. Conveniently located along highway 27, it only takes minutes to highway 192, I-4, Walt Disney World®, Universal Studios Orlando®, Sea World®, and a large variety of restaurants and shops. The wonderful beaches of St Petersburg, Bush Garden themes park and the Kennedy Space Center are only a 90 minutes drive.